On the surface, franchise corporate executive appears to enjoy a comfortable, prestigious, and satisfying life. They often work in or head up a department brimming with resources and personnel, and the corporate perks aren't bad either. It's a life that can be seen in stark contrast to the often hardscrabble existence of the multi-unit franchisee who has borrowed money to open, invests sweat equity, and works long hours just to keep the business running and the cash flowing. Yet, despite this perceived contrast, some franchise executives chuck the corporate "good life" and set out into the franchisee frontier with their own set of hopes and dreams. Take for example, David Ostrowe, who spent years working his way up the corporate ladder of franchise brands including Church's and Taco Bell. Even though he had a comfortable life at the franchise office, he began to realize that he didn't feel in control of his own destiny. He eventually came to ask himself, "Why make millions of dollars for somebody else when you have the ability to make it for yourself?" And he walked away from corporate and became a franchisee. "I had a background in helping struggling franchisees turn things around, so it made sense for me to buy underperforming or closed franchise sites, beginning with Captain D's and then Burger King," says Ostrowe. He's purchased, fixed, and sold a number of units over the years. Currently he oversees a stable of 11 Burger Kings in Oklahoma. Lyndon Johnson began working for KFC corporate directly out of college. He spent 13 years there in operations, learning about restaurants and how to make them work. Later, he worked for Church's corporate and then Burger King in the operations department. He says it all made for great on-the-job training when he stepped out on his own to purchase his first Church's franchise locations in 2002. "I always had a desire to be a franchisee, and it was just a matter of timing, having all the right pieces in all the right places at just the right time," he says. Johnson purchased a block of 11 units right off the bat and today has built up his company to 17 units. In the late 1980s, Bob Friedman founded Red Hot & Blue in Arlington, Va. He and his partners built the business into a 35-unit franchise chain with locations in 10 states before selling to investors in 2006. "I learned the importance of having systems in place, and how each unit must follow and implement these standards to maximize operational efficiencies," he says. Following the sale, Friedman moved to North Carolina where he was operating a video production company when the Great Recession started wreaking havoc in 2008. Late last year, he met Sam Ballas, CEO of East Coast Wings & Grill. Friedman says he's always loved the restaurant business and was looking to get back in, but he didn't want to "start from scratch again." Buying into East Coast Wings as a franchisee seemed a logical and exciting new step. He purchased the Raleigh, N.C. market and is scheduled to have his first unit open this spring with more to follow. When he was in college in the late 1960s and early '70s, Craig Bothwell took a job at a small pizza chain that would become Mazzio's Italian Eatery. He started at the bottom, washing dishes, and worked his way up to become president and COO. He spent 36 years with the franchise before retiring 5 years ago with a yearning to be in business for himself. Like Friedman, Bothwell was interested in operating his own business but didn't want to start a new business from scratch. "First of all, I was 55 years old, and second, I knew all too well the high failure rate of start-up businesses," he says. So he hitched his wagon to McAlister's Deli and today operates 13 locations in Oklahoma, 4 in Kansas, and 2 in Missouri. Each of these former franchise corporate executives has done well in the move to the franchisee side. But, as with any change, there were some bumps during the transition. Operating your own business has inherent risks, even in franchising. That fact wasn't lost on Ostrowe. "You really have very little risk as a franchise executive, but as a franchisee your life is all about risk." He says moving from franchisor to franchisee requires a change in mindset, strategy, and even philosophy. "P&L management must now be factored in with cash flow management. As a franchisee, you might have a great-looking P&L but not be able to pay your bills." And although the rewards may be higher on the franchisee side, risks definitely are. Says Ostrow, "As a franchise executive, if you screw up you can lose your job. As a franchisee, if you screw up you can lose your house." Also as a franchisee, success or failure is all on your shoulders--every detail of day-to-day operations from payroll to accounting to HR and marketing. "As soon as you become a franchisee, all responsibility and accountability for your business resides with you," says Johnson. "You can't just delegate tasks out as you might have done as a franchise executive." Ostrowe says that as a franchise executive he had real estate and construction departments under him that handled all the details. "But as a franchisee, you have to be an expert in all areas, a jack-of-all-trades," he says. "I had to learn the small details of everything." And then there's the fact that you can't do it alone. "One big challenge I have faced as a franchisee is trying to get my staff to understand that each of us must work hard to build this business every day," says Johnson. "We can't take anything for granted, there is no blank checkbook. We have to make money every day, and we have to manage the resources we have." Also, says Johnson, there's no real letup. "When I was a corporate executive, I could disengage at the end of the day. That's not so when you operate a franchise, you're always connected." It was partly this mountain of responsibilities that led Friedman to understand that he couldn't open and operate franchise locations all by himself. "My wife and I are working together to get this first unit open," he says. "Beyond that, I know it will be important to assemble a talented and competent management team to help me get additional units open and operating efficiently." From his days as a franchise operations executive, Friedman knows that "speed kills" franchisees who open and expand too fast without the proper human resources. "A successful multi-unit franchisee cannot grow without great employees and a great management team," he cautions. Ostrowe notes that some former franchise corporate executives transitioning to franchisees make the smart choice of teaming up with partners who have been on the ground and who understand the day-to-day operational issues of running a franchise. Bothwell says an entrepreneurial quality is inherent in the franchisee mindset. "There's definitely a sense of 'being your own boss,' but not at the expense of not following the rules and the systems," he says. "You have to remember that the franchisor is the patriarch and they know best." The transition process for Bothwell centered around his belief in the franchise business model, and that the franchisor and franchisee each plays an important role. "As a franchisee, I have to believe in the value of the product and service that the franchisor provides. That is the value that I'm paying for with my franchise fees and royalties." He does concede, however, that franchisors can be guilty of not listening enough to their franchisees' feedback and suggestions. He says it's a delicate balancing act, one that he now sees from both perspectives. Also, says Bothwell, he feels a sense of relief from leaving behind his franchisor role where so many product, service, delivery, and logistical decisions were always being made, to becoming a franchisee where his fundamental task now is "simply focusing on developing and operating stores. That is a very liberating feeling." Another transitional danger is being unprepared for the reality of going from being a big fish to a small one. Says Bothwell, "It can definitely be a challenge to the ego going from a high-profile position in a large organization to a small startup franchisee." Ostrowe agrees. "It took me years to get over the fact that I don't oversee hundreds of stores. Ego can be a real factor in this kind of transition." Says Friedman, "You may be going from a regular executive suite and regular office hours, to 80-hour weeks and busing tables. You better have a passion for becoming a franchisee." Bothwell notes that an important consideration in making the transition to franchisee is "not underestimating the amount of capital you're going to need while gearing up." He says it was not until he opened his third store that he could afford to pay himself. Community involvement is another mindset change former franchise executives must consider, says Johnson. "As a franchisee living and working in communities, you should be actively involved in all kinds of community events and causes, giving back and making that personal connection with people in your community." Although franchise executives often oversee and have a firsthand view of their franchisees' operations, they can become detached from what's really going on in the trenches, and from what it takes to be a successful franchise operator. "Franchise executives can lose touch with why they're even in the business in the first place," says Friedman. "That's why I think it's important to spend as much time as you can in the filed, in the stores, when you're on the corporate side. It keeps you in touch with what's going on." That's certainly beneficial to an executive thinking about becoming a franchisee. Johnson agrees. "When I was a franchise exec, I was always close enough to day-to-day franchisee operations," he says. "I was in our restaurants all the time engaging with people at every level, from customer on up to manager." Being a former franchise executive brings instant credibility to the table with almost any franchisor: having sat on the corporate side, they appreciate the role each plays in the system, which can speak volumes to a franchise organization in search of quality franchisees. "I was a franchise executive for so long that I understand how they think, I understand what to look for, and I know what kinds of requests from a franchisee are reasonable," says Johnson. This has not only helped him develop a strong relationship with the franchisor, he says, it has also helped him be a better and smarter franchisee. Since Johnson had worked in corporate for Church's, he knew the brand well, and he knew the market, which gave him a leg up when he took on franchise units of his own. When you've spent time at corporate, says Ostrowe, franchisors "know that you get it." As a franchisee with franchisor experience, Friedman has been a go-to resource for the relatively new-to-franchising East Coast Wings. "There have been a number of times when the execs have come to me and asked, 'How did you do such-and-such at Red Hot & Blue?' That was added value I brought to the table," he says. His background in restaurants gives him the advantage of a "world view" of the restaurant industry, he says, and his experience on the corporate side continues to provide him with the opportunity to work closely with the management team at East Coast Wings. Banks and lenders also look favorably on former franchise executives who know and understand the franchising model and are seeking to become franchisees. Other franchisees also are receptive to franchise executives who become franchisees, says Friedman. "I've visited with many of the existing East Coast Wings franchisees, and most seem pretty excited that I'm coming into this smaller, growing franchise system with the experience I gained at a another, larger franchise system." In many ways, former franchise execs make great allies for other franchisees. Bothwell has been so embraced by his fellow McAlister's Deli franchisees that they've elected him to serve as president of their Franchise Advisory Committee. "They know that I understand the inner workings of the corporate office, and they believe that makes me qualified to state the franchisees' case to the franchisor," he says. "I relish the role and believe I have the confidence of my fellow franchisees." Making the transition from franchise executive to franchisee can be an extremely rewarding move. "As a franchisee, you control your own destiny. There are no layoffs," says Friedman. "You have to work extremely hard and you have to run top-quality franchise locations, but the payoff is worth it and you can do really well." Says Ostrowe, "You have the opportunity to make a lot of money as a multi-unit franchisee. You may own land, real estate, and you have the opportunity to grow. I wish I had become a franchisee 10 years ago. It's a great life." Franchise executives who have spent years helping franchisees succeed, are often bitten by the same entrepreneurial desires and drives they have nurtured in others. When that happens, many are willing to leave behind the security of corporate life and step out into the ripe fields of franchise operators. We spoke with four former executives now enjoying the fruits of their labor as franchisees and asked them about the advantages their corporate experience has given them as franchisees. Credibility with franchisors. Franchisees who have spent time in the corporate franchise environment understand how the franchise system works from top to bottom--a skill that comes in handy not only after they open their own units, but also by providing them with instant credibility when considering additional franchise brands. Franchisees are receptive. Existing franchisees often embrace new franchisees who have spent time in corporate. 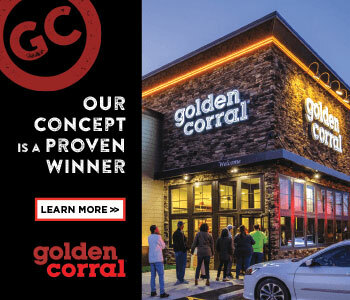 For them, this potential ally brings not only new blood, but the ability to understand and communicate with corporate on behalf of the franchisees. Lenders love it. Years of experience at the franchise corporate level can provide a handy advantage when seeking capital for start-up, growth, or expansion. Bankers love customers with related business experience. Focused view. Franchise executives are immersed in developing and implementing strategic decisions, product testing and implementation, logistics, and other strategic initiatives. As a franchisee, however, they are free to narrow their focus to simply building and growing a business. Stem-to stern-understanding. Franchise executives are exposed in some capacity to all areas of franchise operations. Consequently, they are likely to understand the factors that lead to poor-performing and high-performing franchise units, which gives them a unique advantage when they become franchisees. New risk, new reward. Former executives with entrepreneurial skills and desires can now pursue their dreams of personal growth and income, which can far outweigh the rewards of their corporate life--and set out on the path of controlling their own destiny.